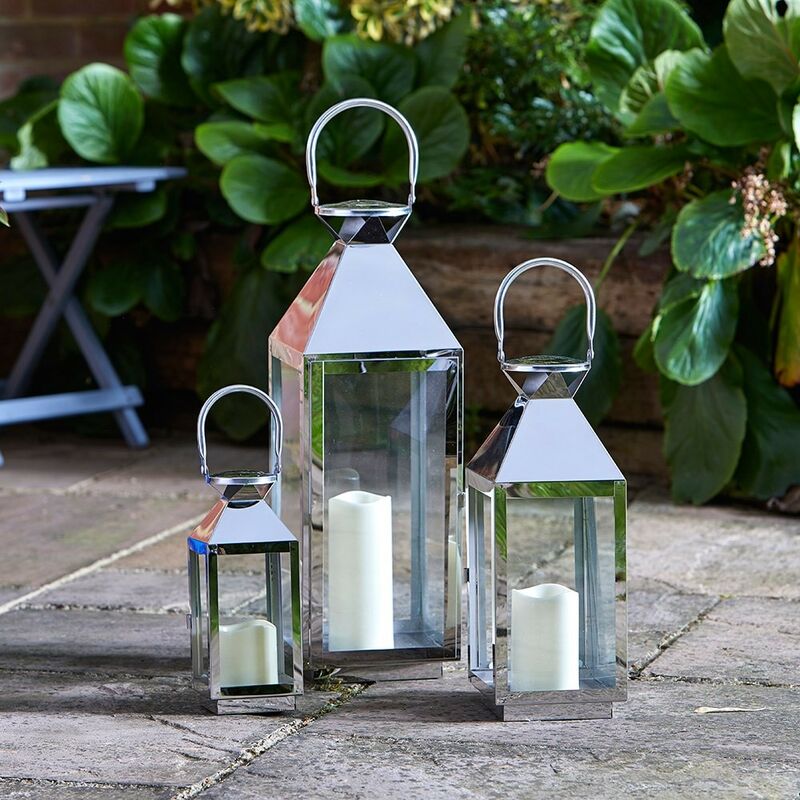 Set of three contemporary stainless steel and glass lanterns for indoor or outdoor use. Each a different size, these versatile lamps can be arranged together to provide cosy indoor lighting and taken outside for parties and outdoor dining. Suitable for use with real candles and LED candles (not supplied).